Learn how to turn your business spending into cash and travel benefits in the current issue of BizTank Magazine! 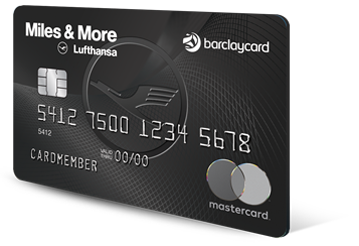 Introducing the Lufthansa Miles & More 50,000 Bonus Miles Offer! Earn 20,000 Bonus Points when you make an initial purchase and an additional 30,000 Miles after you spend $5,000 within three months! Introducing the Chase Ink Business 80,000 Points Bonus Offer! Earn 80,000 Bonus Points after you spend $5,000 within three months! 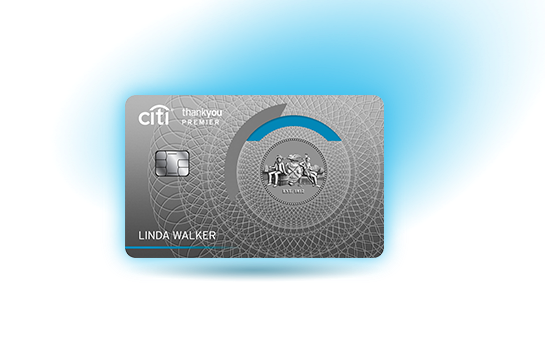 Introducing the Citi Thank You Premier 50,000 Points Bonus Offer! Earn 50,000 Bonus Points after you spend $4,000 within three months! 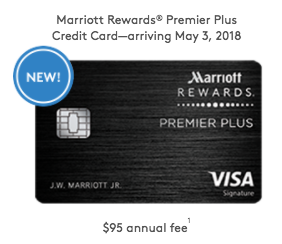 Marriott Rewards Premier Plus Card 100,000 Points Bonus Offer! Pinny Ackerman, parter and director of operations was thrilled to have been invited to participate on the Table for Two Show with the famous Naomi Nachman of the @AussieGourmett fame. Click the link above to hear firsthand how we help individuals and businesses maximize their credit card spending to help earn travel rewards that can turned into lucrative cash and travel benefits! Thrilled to be featured on Table for Two by the famed @Aussie Gourmet! One of the great perks that comes with using credit cards is the ability to earn miles and points when making purchases. This earning potential is so significant that there are actually many forums, blogs, groups, and even a “university” dedicated to helping consumers understand the myriad benefits and rewards programs available to them from credit card companies and how to maximize these opportunities. Many consumers have taken advantage of these options and turned their spending habits into significant side income-earning ventures. Small businesses and corporations can also benefit from proper management of credit card spending and travel programs as a combined service, based on their travel habits and expenses. Business owners who use corporate cards to pay for inventory and operational expenses or conduct the majority of their business online, can potentially earn hundreds of thousands of points per month by choosing the best program that fits their corporate profile. For example, when utilizing Amex for payroll, you can earn one Membership Rewards point for every dollar spent on payroll. There’s a small fee to use this service, but if you run the numbers (or have a credit card advisor run the numbers for you, you may find that it’s worth it for you to pay the fee since the returns will be much greater. Another tip that many people don’t know is that individual purchases of $5,000 or more on an American Express Business Platinum card trigger 1.5 points. That means up to 1 million extra points per year! An additional area of focus for small businesses and corporations is the classification of their business type as it relates to their credit card usage. Certain credit card programs offer double or triple the points when spending within certain categories. The American Express Business Gold Card, for example, offers three times the points for Google Advertising charges, but caps the bonus at 300,000 points per card member. Knowing this, businesses may choose to open new cards for a number of executives and employees, thereby maximizing the triple points business by taking advantage of this bonus for each of their card members or executives. A prestigious financial services firm based in Manhattan was able to increase its rewards accrual from roughly three million miles per year to over nine million by using these and similar methods. Apart from taking into account the business category type, business owners and executives should become familiar with the places their employees typically travel to, and choose a credit card rewards program that is either connected with the airline the employees typically fly with or that earns rewards that can be transferred to those airlines. The business can then reduce its travel expenses by utilizing the rewards earned to offset the cost of airline tickets. Often, they can also receive additional bonus miles during the transfer. Business managers should become familiar with how to use rewards programs to their advantage when actually booking rewards tickets. 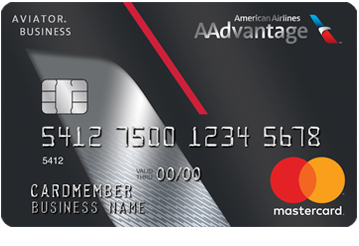 American Express Business Platinum Cards have a special perk whereby individuals who book tickets through the Amex Travel Portal and pay for those tickets using Amex points will receive 35% of the points back into their Membership Rewards account.. This is only the tip of the iceberg, however; there are many more creative ways to take advantage of the credit card rewards. Pinny Ackerman is a partner & director of operations for PEYD, a community-based business located in the Five Towns. 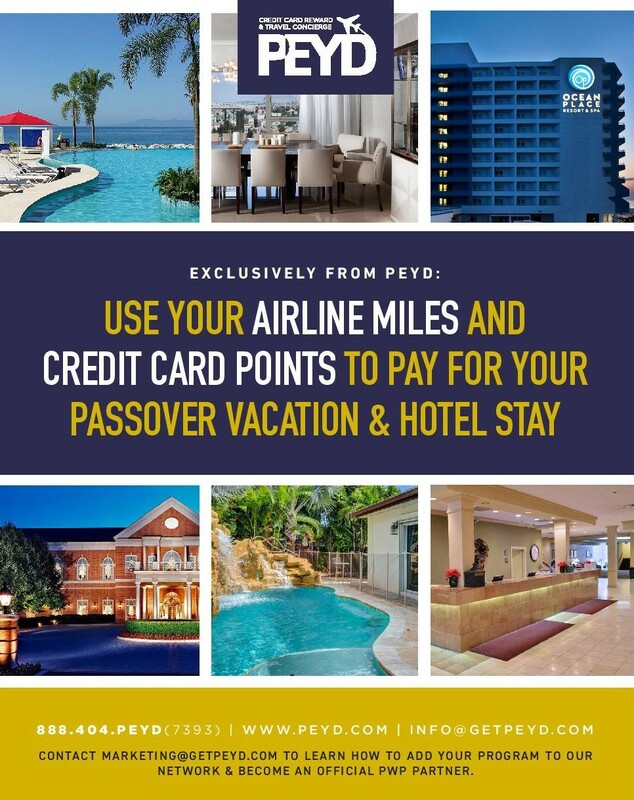 PEYD provides consulting services and creative solutions to help individuals and business owners nationwide navigate credit card rewards and travel industries. They offer business consulting services, with a focus on business travel and rewards management. PEYD has the links for the 70,000 & 60,000 Limited Time Delta Offers! 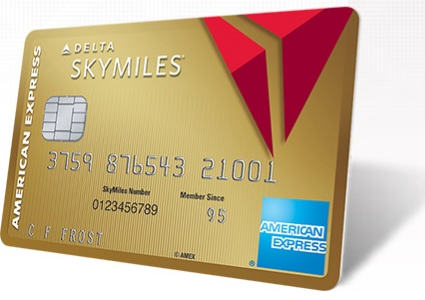 The Delta Credit Card Offers are Still Available with PEYD! Although the public links for the Delta Bonus Offers are no longer available, you can still earn these great bonuses using our referral links! earning up to 260,000 Delta Miles!! Capital One Venture and the Barclays Arrival Card which also come with great signup bonuses. Travelling to Israel?! Need Airfare, Hotels, Tours Etc? Millie Abadi is the is the director of Travel Planning & Concierge for PEYD Travel and today she shares her tips with us on the best Japan has to offer and all the insider secrets for making your dream vacation to Japan a success. For more information about planning your next dream vacation you can contact me at millie@peydtravel.com. · A lot of places are cash only so it’s very good to have cash on you. There are tons of 7/11’s and they have ATM machines. · Other than that, there really is no tipping expected in the country. · Make sure you have worn in shoes, may be hard to get new ones if you have larger or wider feet, since many stores won’t sell larger shoe sizes. · Public or restaurant bathrooms often have no hand towels, so good to bring a cloth if that would bother you. Even grab a washcloth from your hotel to keep in your purse. · A lot of stores and coffee shops don’t open until a bit later like 11am. · If into environment bring own reusable chopsticks. · People are extremely polite, do not show extreme emotion. So it’s good to be mindful of that when you’re in public. · Japanese are very into giving gifts. Could be nice to bring just a little something from your country to give out to specialists, ryokan staff, etc. soaps, foods, pins. For example an Australian brought little koala pins. Just a small token from home that they would greatly appreciate. · If you’re very allergic to anything, and you have a card written out in Japanese that says it, or you have the hotel let the restaurant know in advance, you have to say “for medical reasons I can’t have this.” They won’t necessarily understand otherwise. · For something like gluten or dairy free, you can say you don’t eat it, but they don’t really understand how many things it’s in, so need to be specific about what you can’t eat. For example, they don’t all know soy sauce has gluten. Don’t know yogurt is made of milk, etc. · For vegetarian , you want to say “I don’t eat meat in any form including bacon and ham.” They don’t always understand that pork is also considered meat. · If you need food that is prepared totally separate, need a card that’s very specific. More clear than you think you need to be. · Don’t talk on phone on train. · Don’t eat or drink on the train except for the Shinkansen. If you are on a metro/subway, it would be considered very rude. · Don’t walk down a regular street eating and drinking and smoking. There are designated smoking areas. If you get vending machine drink, have it there. If getting street food, eat it by the stall. · Don’t wear perfume to a sushi restaurant. · At sushi restaurants, if it’s not a very small omakase experience where the chef has very thoroughly thought through what they are serving, it’s okay to ask for half portion of rice with Nigiri. Eating all those pieces ends up being a ton of rice so half rice can be nice so you can eat more fish. · From airport – a cost effective way is to take the airport limousine bus that goes to different neighborhoods. Definitely a good option from Narita as it’s far away and a taxi or private transfer will be very expensive. If flying into Haneda, you can still consider a taxi since it’s much closer to the city. Taking the train can be very confusing, especially on arrival, unless you book greeters on both ends. The first half of my trip was a hosted FAM to the Ishikawa Prefecture (which includes the city of Kanazawa and some regions to the north and south of there where you stay in Ryokan style accommodations) and Kyoto. This was planned by tourism bureaus to try and understand and promote the luxury market more. Ishikawa is an interesting destination to include in an itinerary if your clients have extra time. Not a 100% must do, but definitely a great add on if they have time to go beyond, Tokyo, Hakone, Kyoto. You can either fly into the airport here which is called Komatsu (KMQ) which is about a 30 min drive or so to Kanazawa. Or you can take the train from Tokyo or Kyoto straight to Kanazawa. This is more likely how you would do it, as you wouldn’t normally begin or end your trip here to make it worth flying into. Kanazawa is the main city, and it’s a place to come to experience more traditional japan. Some things you can do there: Food market, geisha district, samaraui district, gold leaf studio, make own chopstix or jewelry box or post card if shorter on time at gold leaf studio, contemporary art museum, beautiful gardens, castle park, tea ceremonies. This region is surrounded by water so it’s known for really good seafood. They have some decent 4 star hotels here, but nothing true 5 star or over the top. However, if someone wants to come to this region and you set the right expectations, they will be totally fine. I stayed at Hotle Nikko http://www.hnkanazawa.jp/english/ which is right near the train station. So location is convenient for that, but there is also a 4 star hotel that is more centrally located to the sites. However, this is a small city so it really shouldn’t matter too much either way. Food: There are lots of places to eat depending on what you’re in the mood for, and definitely many sushi restaurants since there’s good seafood. Then north is noto peninsula, surrounded by water. Stay in ryokans, though they are larger like 60 rooms. This is a very cool area to come for a night or 2. The setting on the water is beautiful and different from other ryokans you will stay in. decor is very dated but have amazing suite with open air hot spring tub right on the water, about 800,000 jpy per couple including breakfast and dinner. Other rooms are not great and not worth staying there for. Much more updated decor, beautiful setting. Starting at 100,000 jpy per couple per night all inclusive of breakfast and dinner and beverages. This is for a room that doesn’t have private open air tub. *Also note that to book these ryokans you really need to go through an onsite. Will be too difficult otherwise. In this area, you can go Kayaking and canoeing, fishing, relax, go 45 mins north to wajiyma – morning market, craft shop of Japanese laquerware, terraced rice patties, museum for lanterns (which is actually amazing) and if visiting in the summer, there are these street festivals throughout the region where they carry these amazing massive lanterns that you can see in the museum. But you can go to the festival in person in the summer., a little further north, go to area where people are still making sea salt manually. Summer time can do a 2 hour experience of meeting local oyster farmer, go out on gangway with him watch him farm the oysters and open and grill it for you in restaurant. You can swim with dolphins in the summer.There’s a very nice French restaurant as well called l’atelier noto for a very fine dining experience. Then, there’s another area that’s accessible from Kanazawa called Kaga. Instead of being on the water, this is more in the mountains. I feel that there is less to do here and the region feels less special than the noto peninsula. So what I would recommend this for is if someone is visiting kanazawa for a night, and then wants a ryokan experience for a night, and is on a tighter budget. Beniya Mukayu, which is a Relais and Chateaux. Nice simple design, rooms have open air tubs, beautiful spa, they offer yoga classes in the morning. The one thing they don’t do here is the private in room kaeiseki meals. You would eat in the main restaurant, but it’s very lovely and the food is supposed to be great! There’s also a town area you could walk around. I would say, good for 1 night. Definitely my favorite. Beautiful hotel that still feels traditional and not run of the mill ritz carlton. Great location, can walk to shopping and restaurants. They offer some great complimentary activities like morning run with GM, or bike ride to Fushimi Inari Shrine. They also do hikes. This is a nice perk for clients. The food is outstanding on property. The one thing to note is that the entry level rooms look out to a high school, so the view is bad and it can be very noisey. I recommend urging your clients to book a higher category than standard. The next category up does not have many king beds, as its very common in japan to do 2 beds even for couples, so that’s also something to take note of. Didn’t get to see rooms but saw the public space. Just felt pretty cold, and location not great. There are things to see during the day time that are walkable but definitely at night you will need to take taxis to go out. They do have a lovely garden out back, and an old tea house that is a champagne bar. That’s a very nice setting so could be good to come to one evening even if not staying there. They also have a geisha come to the lobby to intereact with guests on some evenings which is nice. Didn’t see it but passed it in the car. Similar location to four seasons, but lower price point, so could be a good option for someone spending less. This is located in the Arashiyama area, which is where the bamboo forest is. It’s definitely an area worth visiting, lots of tourists go as it’s very beautiful, but its outside the city center, and probably not where I’d want to stay unless you are looking for something more quiet and secluded in the evenings with a more natural surrounding. However, the rates for the rooms are quite high for what it is in my opinion. If spending that much, I’d just go to the ritz, even if it’s a tiny bit more. They do have a really nice café on the river though that could be nice for a tea or lunch if you are in this area mid day. I didn’t see this property but I know it’s located also in the Arashiyama area, but across the river so you have to take a quick boat transfer to get there. If you are looking for more of a ryokan experience here if you aren’t getting it elsewhere, then maybe it could be nice. Otherwise I think it’s really just unnecessary and a pain. I did not see this hotel but recently had clients stay here and they really liked it. It’s in the Gion District which is the geisha district. I did not see this hotel either, but it’sv ery close to Ritz Carlton and was told it’s not a bad option for lower price point if you still want that location. 3) Kimono rentals – it’s very common in Kyoto for people to rent kimonos and spend the day walking around in them and taking photos. I know a lot of our clients wont want to walk around necessarily in it, but the kimono rental experience was SO cool. Lots of different price points, for men and women, based on how nice the kimono is. They dress you in it which is a very intense process, and then you have optional, hair and makeup and accessroies. They do a photo shoot, and you can even arrange a dance ceremony or lesson with a geisha. We had so much fun with this and I think people would really love it, just for the pictures!! 4) Tea Ceremonies are very popular to do here as well with a tea master. You can sign up for ones on viator, or even arrange more high end private experiences. I found it to be interesting but could be a little boring/slow for some, so just get a guage of your clients interest. Unfortunately and fortunately at the same time, I did not dine out at all in Kyoto. The Ritz Carlton hosted us for both meals. So I can say their food is amazing (we had all of their Japanese style cuisines in a special menu they prepared for us,) and we also ate at their Italian restaurant which is arranged like a tasting menu and was superb. There’s still always some Japanese influence, so it can definitely be worth a try especially if your clients are getting sick of straight Japanese food. Coolest vibe out of all of them. More modern décor, really nice ambiance. Staff wears jeans, white shirts and cool fitted blue blazers. Great perks included like minibar in the room of non alcoholic beverages, daily happy hour in the lobby lounge from 6-8 with wine and snacks complimentary to guests, an iphone included in each room so you can have internet around the city without using your own data. Jazz band playing in the main bar/restaurant, very cool rooftop bar with amazing views and dj music. small sushi restaurant as well. really nice spa area that’s complimentary to all guests that includes a nice size swimming pool with views, a series of Jacuzzis, a steam room and a massage chair room that was unbelievable. It honestly was like having a real massage, never experienced a chair like that. I would say this is a home run for younger and/or hip clients, but the location is really not great. In a business district that’s still being built up, so lots of construction., no restaurants/bars/shopping in the immediate area. It’s also about a 7 min walk to the closest subway, so its really inconvenient if you’re not trying to take taxis everywhere. You’re about a 10 min taxi to roppongi or ginza. If your client doesn’t mind taxis everywhere then it wont really matter. It can just get expensive depending on where you’re going. The other thing to note is that the rooms have this hideous carpet color that’s like a lime green almost. At night you don’t really notice it too much, but in the daylight I found it to be extremely ugly. Green is very Japanese though. Overall very nice hotel. Traditional touches but still modern. I wouldn’t say it’s over the top luxurious but definitely one of the nicest if not nicest in Tokyo. Would suit a high end client just fine. Location was nice in Nihonbashi, which is not too far from Ginza, with different shops, department stores, and some restaurants around. More sense of place than where Andaz is located. There is also a metro station below the building which is very nice, as well as a food concourse. The few things to note about the hotel is that it was the only luxury property we saw that did not have a full pool. They did have a wet area with little pools, sauna, steam and showers. But aside from the early morning hours, this area was at additional cost to guests. Compared to this really nice complimentary spa and pool access at the andaz, it did feel like a bit of a letdown. Also, our room did not have any outlets by the bed whatsoever which drives me crazy. It would be great if they could update that. The hotel does have many different restaurants though including a great little sushi bar as well as an awesome pizza counter. So the dining experience here is definitely very good. Beautiful zen like hotel, just as you would imagine an Aman to be. However, it did feel somewhat cold. My friend I was with got a message from one of her travel agent friends while we were there, saying she just had to check her client out early because he felt that it was completely soulless. Now, that’s of course a personal opinion and we’ve had many people say it was their favorite hotel ever, but it is worth noting if you think your clients prefer a warmer environment. Spacious airy rooms, amazing spa, nice views. Nice hotel, with pretty lobby and decent rooms. Basically a nice, non-offensive place like you’d expect from a typical ritz carlton. Price point is pretty decent and so is the location in Roppongi. This is an area that’s known for a lot of nightlife especially with expats. Can be kind of cheesy if you ask me but at least it feels lively. There are also some good restaurants in this area too. The restaurants in the hotel looked nice as well, and good spa. I’m glad I saw this hotel as I haven’t heard too much about it before, though it is a virtuoso hotel. This one felt pretty different from the others in a few ways. One is that you enter the hotel on the ground floor, and the rooms are not high rise like the others. The hotel is located right at the palace gardens so you still have nice views, but not those sweeping skyline views that you get elsewhere. However, one benefit of tis is that they can have balconies on most of their rooms. The hotel in general has a much brighter arier feel, while others are a little darker and moodier. The immediate location aside form the palace is somewhat businessey so they do get a lot of business travelers. However, the price point is good out of the virtuoso options and I would feel totally fine sending someone here, especially middle aged clients or families. Young hip couples may want something more vibey. A nice thing to recommend to anyone, but that’s especially easy from here, is to go for a run in the morning around the palace garden. It’s about a 5k run and people really enjoy it. Again, good dining and decent spa facilities. Park Hyatt was a little bit of strange one. The location is not great. While it says Shinjuku it’s actually quite far from the subway and the heart of that area. However, they do provide complimentary shuttles for guests throughout the day to the Shinjuku subway station, which is nice. But there’s not much to see/do right in the immediate area when you walk out of the hotel. I only visited this one at night, but when you walk in and go upstairs there definitely is a really nice ambiance. The first area you see is this bar/restaurant that feels like a big atrium and felt really cool. Then you kind of wind through a maze almost to get to the reception area. Now the issue with this hotel is the décor feels very 80’s Boca Raton with a Japanese twist. That’s the best way to describe it. Definitely needs an update. I’m sure there are people who wouldn’t mind, as they seem to get a lot of guests, but its not my favorite décor. What I do love, is that they have the New York Bar which is the one featured in Lost in Translation. This is a place I would recommend everyone to come to one night in Tokyo. Very classy and cool feeling, with amazing views over the city, really good jazz band playing, nice drink and food menu, and people watching. They typically don’t take reservation so you just walk in. I’m sure it’s easier if you come not on a Friday/Saturday night. Loved this though! This is a very hip boutique hotel in what I think was the best location. Its smack in the middle of Shibuya/Harajuku, which is kind of a hectic iconinc area, lots of young people, shops, restaurants, etc. and Ommotessando which is kind of like the champs elysees of Tokyo. Luxury shopping, beautiful tree lined street, award winning architecture everywhere. And the hotel itself is just off this awesome street called Cat Street, which has very local hip boutiques and cafes. The thing about the hotel is, while it’s very cool, it doesn’t have much of a Japanese feel. It might as well be in Williamsburg, Brooklyn. It’s got a very hipster vibe, lobby space that feels like an ace hotel with tons of people lounging, drinking coffee, working from their laptops etc. this is a small building and only 15 rooms, so no views here. The rooms are pretty small and contemporary. This is a good option for young hip couples, wanting to spend a little less (starting in the $400’s) and be in a great location. The suites here are just way too expensive to make it worth it. If spending that much, than I’d probably just go and have the facilities of one of the more luxury high rise hotels. Though the suites are very cool looking. Nice restaurant with a rustic elegant vibe, a casual café connected ot the hotel for grab and go foods, bikes that you can rent which would be really fun to go around the neighborhood. Staff dresses really cool. I’m pretty sure they are expanding to other cities internationally. 6) Totoshigure – very cool local izakaya in this sort of bohemian neighborhood called Shimokitazawa. A guide took us here. 7) Tuskiji Itadori Bekkan – amazing place for sushi breakfast in the outer market at Tsukiji. 8) New York Bar – This one is more upscale and is the bar at the park hyatt. You can eat here or just have drinks but definitely worth coming to for views, scene and live music. You can do typical historical touring of temples and shrines and gardens, you can just explore a bunch of different neighborhoods getting lost and walking around on your own. Lots of day trips you can do from here as well. Visit the fish market, do a sushi making class if that’s of interest. If in season, go to a sumo match. We went to the robot show which everyone said we must do, but I personally found it to be ridiculous. It’s definitely a very “Tokyo” experience, but I wouldn’t say it’s amazing. Just a funny unique experience. If you do that, I recommend eating dinner first, no there, and then going out to golden gai after since both are in Shinjuku. Golden gai is the old street filled with tiny 6-8 person bars. Really cool/fun/authentic experience. You just walk down the street and pop into different places if they will let you in. Not everyone like’s tourists, but you can definitely find plenty of places to go. Ebisu is also a cool area to go at night. funky, lots of alleyways with little yakitori places, standing shot bars, coffee shops craft beer, brewery. Mid range not fancy. Another nice neighborhood to walk around, probably more for day time or a date night type dinner is Daikonyama – kind of a shi shi area,- shopping, lunch, brunch, cafes, date nights. 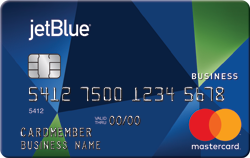 Earn 50,000 Bonus Miles after you spend $3,000 in purchases on the Card within your first 3 months of Card Membership. New Chase Southwest 60,000 & 50,000 Miles Bonus Offers! These offers combined can earn you the Southwest Companion Pass, one of the hottest travel benefits in the industry! when you spend $3,000 within three months for the Premier Business Cards plus receive additional bonus miles on the cardmember anniversary. Earn 25,000 Bonus Points* when you spend $3,000 within three months. $0 Annual Fee for the first year then $95. New Increased Signup Bonus Offers for many of the American Express Cards via Incognito Mode!! If you would like more information about the programs that accept airline miles and credit card points and our recommendations please send us an email by clicking on the following link.